If you are already putting in the work to develop the ideal lawn, you likely find it frustrating to deal with the weeds that keep popping up every season. Maybe you pull them out, or maybe you cut them down, but they just keep coming back. Now, you’re probably wondering: what can you do to create a healthier lawn that is free from weeds? The good news is that you can achieve a weed free lawn without a ton of added maintenance. With a self propelled cordless lawn mower like the Landroid M Cordless Robotic Lawn Mower and a little bit of knowhow, you can make some adjustments to your current lawn care practices to achieve a weed free lawn. The steps include getting rid of existing weeds, choosing the right type of grass for your lawn, following a fertilizer routine, mowing the lawn correctly, and watering the grass the right amount. If you want to get a handle on your lawn’s problem with weeds, the first thing you need to do is get rid of the existing weeds, and take care of any issues that can contribute to weed growth. Depending on the types of weeds growing in your yard, there can be several methods of removal that may work. Some weeds should be pulled up while others should be treated with herbicides. There are some that you just want to keep cutting down with a weed wacker until they disappear. Along with removing any existing weeds, you should also look for any spots in the yard that look weak or bare. If the grass is not strong in some places, it can be very easy for weeds to grow in these spots. Once the weeds pop up in one place, it is likely that they will spread to others. Processes like aeration and dethatching can be a good way to promote a healthy lawn that will be weed free. However, issues like pests and plant disease can also contribute to a weak lawn. Different types of grass grow better in different regions. If you live in a warm climate, warm-season varieties will do better in your yard. If you live in a cooler region, cool-season grasses are better. If you are planning to reseed or resod, putting down the right type of grass can make a significant difference. You want a type of grass that not only grows well, but roots itself deep enough that it doesn’t get destroyed when you mow the lawn with a manual or auto lawn mower. Along with getting the right type of grass for your climate, you may also want to consider your soil type. Grasses like Bahia and Fescue can thrive in a wide variety of different soil types, but there are some grasses that need a specific soil pH or consistency. A good fertilizer program is one of the keys to growing a dense, healthy lawn. When your lawn is healthy, it leaves little room for weeds to grow. When it comes to creating a program for fertilizing your lawn, there are a few different factors to consider. You need to account for the soil pH, the type of grass, and the region in which you live. If you want to create the best fertilizer program possible, you will need to test the soil, identify the type of grass you have, and take the different seasons into consideration. Proper mowing is actually one of the most important steps for having a healthy, weed free lawn. This isn’t just about cutting with the right frequency – which is about once a week for most types of grass – you also need to cut to the right height for the type of grass.Additionally, you need to make sure to use a well-maintained lawn mower with a sharp blade. To maintain a consistent lawn care schedule, an automatic lawn mower can be a good option. All you have to do is set up the perimeter for your lawn, program the machine, and the smart lawn mower will do most of the work for you. A self propelled cordless electric lawn mower uses artificial intelligence to navigate even the toughest yards. It has five different settings for cutting height and can be programmed to go out and cut on a schedule you decide. 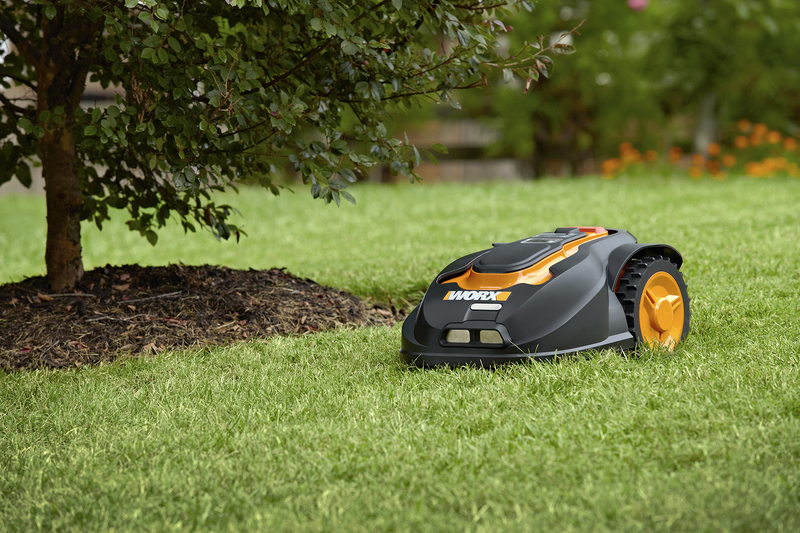 The Worx model is also the best robot lawn mower when it comes to navigating uneven terrain, obstacles, and narrow places in the yard. You need to make sure to provide your lawn with enough water, but you also want to be careful not to overdo it. For most types of grass, about an inch to an inch-and-a-half of water per week should be enough. Be sure to account for things like drought and heavy rains when watering your lawn. Additionally, do not water your lawn every day. Instead, you should give your lawn one deep soak about once a week. That way the water can penetrate deep into the soil to promote stronger, deeper roots. When your grass has a healthy root system, it is much harder for weeds to take root and grow. You could water your lawn with a standard sprinkler, but an automatic sprinkler system could be a nice buddy for your robot lawn mower. An auto lawn irrigation system will have sensors to detect rainfall and the amount of water capacity within its structure. It can then use this information to manage watering the lawn intelligently. With a self-propelled cordless electric lawn mower and automatic sprinklers, you can take a significant amount of work out of lawn maintenance. Make lawn maintenance even easier with an auto lawn mower. Shop for yours on Worx today! Getting rid of existing weeds, choosing the right type of grass for your lawn, following a fertilizer routine, mowing the lawn correctly, and watering the grass the right amount.